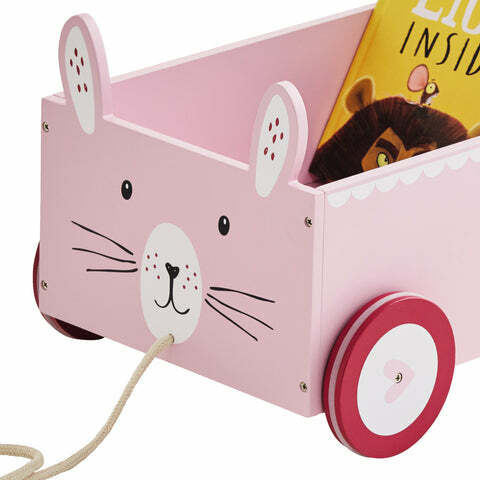 Book Storage Cart, Miss Bunny | Great Little Trading Co. This lovely book storage makes the idea of reading more fun; it keeps all their current favourites in one place and facing forward so they're easy to spot. We love that it seems to make the idea of tidying up more appealing too! We've made this lovely wooden cart out of sturdy, painted wood and it's tested for safe use by children. It also features a pull-along cord and rubber trimmed wheels. 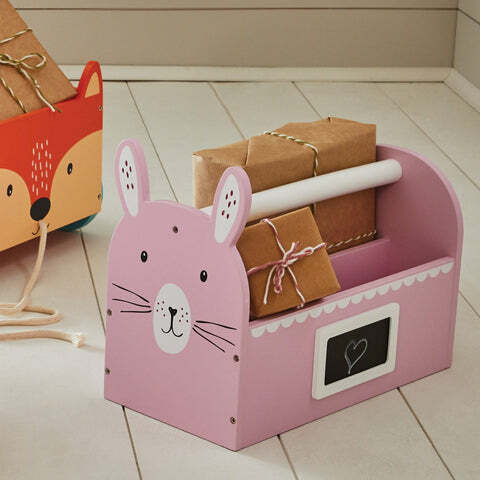 Match it up with the Miss Bunny Carry Caddy and matching Children's Bedding; you'll also find this sweet design in our range of Storage Ideas and Children's Rugs.